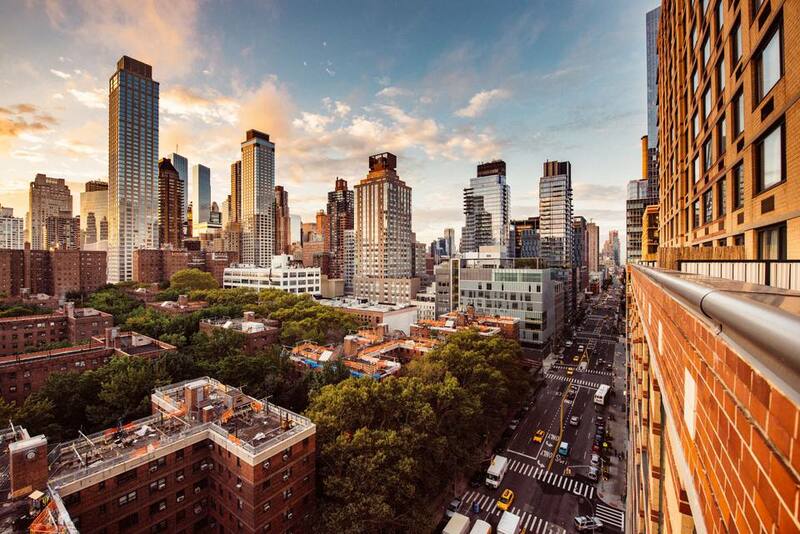 Looking for a day filled with some of New York City's best art, shopping, and architecture? I've put together a great plan for one day in New York City that will take you to the city's most well-known art museum, its most famous shopping street, and a beautiful train terminal. Start your day with a virtual visit to Vienna in the Neue Gallery's Cafe Sabarsky (1048 Fifth Avenue (86th Street), 212-288-0665, www.neuegalerie.org/cafes/sabarsky) where you can enjoy expertly made coffee, pastries and more substantial fare to fuel your day of sightseeing. To get there, take the 4, 5, or 6 trains to 86th Street and walk west along 86th Street toward Fifth Avenue. The cafe is located inside the museum and opens at 9 am (closed Tuesdays), giving you plenty of time to enjoy breakfast before heading off for your day of shopping and art. The Metropolitan Museum of Art opens at 10 am daily. Ideally, you should plan to arrive at or shortly after opening in order to avoid crowds and give yourself plenty of time to explore. To get there after finishing your breakfast, walk down Fifth Avenue to the museum's entrance which is located on Fifth Avenue and 82nd Street. Like the American Museum of Natural History, there is no way to see everything at the Met in a single visit. Guided highlights tours (included in the cost of admission) leave from the museum's Great Hall throughout the day and are an easy way to see a selection of works from the museum's collection. Alternatively, the museum has put together some suggested itineraries to help you take a self-guided tour and the audio guide is also a wonderful tool for exploring the museum. The museum is also host to ever-changing exhibitions that are included with your admission fee. If you're immersed in The Met and aren't ready to leave, take a break for lunch at one of the museum's cafes. The Petrie Court Cafe is a particularly nice choice serving a la carte lunch and afternoon tea daily, as well as dinner on Friday and Saturday with Central Park as a backdrop. If you've exhausted your art-attention-span, head down Fifth Avenue (it's a little over a mile -- you can walk, take the bus (M1, M2, M3 and M4) or catch a cab, as your energy and budget allow) to 59th street and have lunch at the Plaza Food Hall. Located beneath the iconic Plaza Hotel, there are outposts of several delicious NYC restaurants, in a fancy food-court style setting. From sandwiches and lobster rolls to sushi and grilled meats, the variety of vendors (The Todd English Food Hall, Sushi of Gari, Luke's Lobster and William Greenberg) virtually guarantees everyone in your party will find something to eat, and you can eat together, even if you chose to buy from different spots. Once you reach 42nd Street, it's time to leave 5th Avenue and walk east toward Grand Central Terminal. Grand Central is located about two blocks east of 5th Avenue at 89 East 42nd Street. This beautiful Beaux Arts building is not only a transportation hub, but it's home to shops, restaurants, and even a fantastic bar. There are many things to see and do, but first, you must see the iconic clock at the information booth (pictured above). Stand there for a few minutes, taking in the hustle and bustle. Don't forget to look up at the beautiful ceiling, which illustrates the constellations. Next, head toward the Grand Central Oyster Bar. Outside, give the Whisper Gallery a try -- stand in opposite corners with your traveling companion and whisper a message. After you're done playing in the Whisper Gallery, have dinner at the Grand Central Oyster Bar -- whether you like your oysters on the half shell or in a pan roast, this only-in-NYC spot can't be beat. If you're more into meat, head to Michael Jordan's The Steak House NYC which has some seating along the balcony of Grand Central's main concourse. Finish your evening with a cocktail in Campbell Apartment, the former office and salon of 1920s tycoon John W. Campbell, which is now a cocktail bar (do note, it's an upscale spot with upscale prices and proper dress is required). Total Walking Distance: 2.5 miles - This assumes walking the entire route, but doesn't include time spent walking in the museum. You can cut trim over a mile off your walking distance by taking a cab from the Met to the Plaza Hotel.